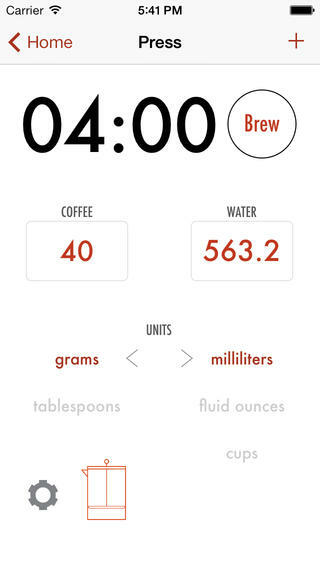 Another minimalist coffee app, this one allows you to customize coffee to water ratios, brew times and bloom times for all your brewing methods (incl. French Press, Aeropress, Chemex, Siphon, Clever & V60). You can also save favorite coffee recipes for brewing later.